Surface acoustic waves (SAWs) demonstrate simplicity of their excitation and receipt, as well as their availability to all propagation ways of signal branching and processing. SAW devices are divided into several main classes: filters for signal processing at intermediate frequencies, delay lines, resonators, filters with low losses for the input circuits of receiver, and antenna duplexers for the connected receivers. The SAW devices are not only able to conduct an effective signal processing, but also serve as a basis for multi-subsystems (matched filtering, signal processing, real-time Fourier transform processors, etc.). Additionally, SAW filters help scientists to realize the wide variety of frequency characteristics. Besides their unique electrical characteristics, SAW devices favorably differ from their analogs in small size, mechanical strength and high reliability, due to the quality of raw materials and their processing. The use of the photolithography and the achievements of group microelectronic technology in their production allow a researcher to achieve good reproducibility of parameters at relatively low cost. In addition, currently SAW devices are widely used in various sensors based on the SAW radio frequency identification. This book presents an attempt to generalize a multi-year experience on R&D of SAW devices. It develops original approaches directed at discovering solutions of technical problems, as development of various SAW devices are patented in Russia. Moreover, the book presents some experimental and theoretical research results. Rabiner, L.; Gould, B. Theory and Application of Digital Signal Processing. Mir: Moscow, 1978, pp. 1 – 848 (in Russian). Morgan, D. Surface Acoustic Waves Devices of Processing of Signals. Radio and Communication: Moscow. 1990, pp. 1 – 415 (in Russian). Bagdasaryan, A. S.; Kmita, A. M. Proceedings of MFTI, Moscow. 1977, 56 – 58 (in Russian). Bagdasaryan, A. S.; et al. In: Proceedings of X All-Union Conference on Acoustoelectronics and Quantum Acoustics. Tashkent. 1978, 189 (in Russian). Smith, W. R. In: Computer-Aided Design of Surface Acoustic Wave Devices. J. H. Collins, L. Masotti (Eds.). Elsevier: New York. 1976, 308. Smith, W. R.; Pedler, W. F. IEEE Transactions on Microwave Theory and Techniques. November 1975, vol. MTT-23, 853 – 864. Bagdasaryan, A. S.; Karapetyan, G. Y. Journal of Radio Communications Technology and Electronics. 1989, vol. XXXIV(5), 1104 – 1107 (in Russian). Bagdasaryan, A. S.; Dneprovski, V. G.; Karapetyan, G. Ya. ; et al. Abstracts of the XIV All-Union Conference on Acoustoelectronics and Physical Acoustics of Solid. Chisinau. 1989, Part 1, 182 – 183 (in Russian). Bagdasaryan, A. S.; Gulyaev, Y. V.; Kmita, A. M. Bandpass Filter on Surface Acoustic Waves, USSR Patent No. 726647, 14.12.1979 (in Russian). Gulyaev, Y. V.; Kmita, A. M.; Bagdasaryan, A. S. Technical Physics Letters. 1979, vol. 5(11), 697 (in Russian). Bagdasaryan, A. S.; Karapetyan, G. Y. Impedance SAW Filters. International Program of Education: Moscow. 1998, pp. 1 – 79 (in Russian). Ruby, R. C.; et al. In: Proceedings of IEEE International Ultrasonic Symposium. Atlanta, USA. 2001, vol. 1, 813 – 821. Bagdasaryan, A. S.; Karapetyan, G. Y. Systems and Means of Communication, Television and Radio. 1998, No. 1, 13 – 17 (in Russian). Bagdasaryan, A. S.; Burde, A. I.; Gromov, S. S. Systems and Means of Communication, Television and Radio. 2000, No. 3, 21 – 26 (in Russian). Colin K. Campbell. Surface Acoustic Wave Devices for Mobile and Wireless Communications. Academic Press: Boston. 1998, pp. 1 – 1633. Endoh, G.; Ueda, M.; Kawachi, O.; Fujiwara, Y. In: Proceedings of IEEE Ultrasonics Symposium. Toronto, Canada. 1997, vol. 1, 41 – 44. Balysheva, O. L. Journal of Radio Electronics. Online Journal. 2014, No. 6. http://jre.cplire.ru/jre/jun14/2/text.html (in Russian). Hartmann, C. S. In: Proceedings of IEEE Ultrasonics Symposium. San Francisco, USA. 1985, vol. 1, 64 – 73. Gulyaev, Yu. V. Advances in Physical Sciences. 2005, vol. 175(8), 887 – 895 (in Russian). Surface Acoustic Wave (SAW) Devices: Technologies and Global Markets [Electronic resource], http://www.bccresearch.com/market-research/instrumentation-and-sensors/surface-acoustic-wave-sensors-technology-markets-ias039a.html. NPP BUTIS [Electronic resource], http://butis-m.ru/ru/catalog/saw-filters/ (in Russian). OAO "Avangard" [Electronic resource], http://www.avangard.org/ (in Russian). Campbell, Colin K. In: Proceedings of the IEEE Ultrasonics Symposium. Montréal, Canada. 1989, 1453 – 1484. Bagdasaryan, A. S. ChipNews. Online Journal. 2002, No. 8, http://www.chipinfo.ru/ (in Russian). Harma, S.; Plessky, V. P. In: Development and Implementation of RFID Technology. Cristina Turcu (Ed.). I-Tech: Vienna, Austria. 2009, pp. 145 – 158. Gulyaev, Y. V.; Bagdasaryan, A. S. Radiotechnique. 2003, No. 8, 15 – 25 (in Russian). Gulyaev, Y. V.; Bagdasaryan, A. S. Science and Technology in the Industry. 2005, No. 1. 54 – 60 (in Russian). Bagdassarian, S. A. Electronic Engineering. 2004, No. 3, 170 – 171 (in Russian). Gulyaev, Yu. V.; Butenko, V. V.; Bagdasaryan, A. S.; et al. Information and Security. 2007, vol. 10(2), 199 – 222 (in Russian). Gulyaev, Y. V.; Bagdasaryan, A. S.; Kashchenko, A. G.; et al. Information and Security. 2007, vol. 10(3), 395 – 402. Bagdasaryan, A. S.; Kashchenko, A. G.; Semenov, R. V.; Shcherbakov, V. B. Information and Security. 2006, vol. 9(2), 83 – 85 (in Russian). Lvovich, J. E.; Bagdasaryan, A. S.; Kashchenko, A. G.; Semenov, V. R. Information and Security. 2007, vol. 10(1), 165 – 168 (in Russian). Hartmann, C. S. In: Proceedings of Ultrasonics Symposium. Munich, Germany. 2002, vol. 1, 65 – 69. Bagdasaryan, A. S.; Dneprovski, V. G.; Karapetyan, G. Y.; Bagdasaryan, S. A. In: Piezoelectric and Related Materials: Research and Applications. Ivan A. Parinov (Ed.). Nova Science Publishers: N.-Y. 2012, 189 – 238. Bagdasaryan, A. S.; Bagdasarian, S. A.; Gulyaev, Y. V.; Karapetyan, Y. G. Identification Device on Surface Acoustic Waves. Russian Federation Patent No. 2326403, 10.06.2008 (in Russian). Gulyaev, Y. V.; Bagdasaryan, A. S.; Bagdasaryan, A. S.; Karapetyan, G. Y. Identification Device on Surface Acoustic Waves. Russian Federation Patent No. 2326404, 10.06.2008 (in Russian). Bagdasaryan, A. S.; Bagdasarian, S.A.; Karapetyan, G. Ya. ; Nefedova, N. A. Identification Device on Surface Acoustic Waves. Russian Federation Patent No. 2326405, 10.06.2008 (in Russian). Bagdassarian, S. A.; Dneprovski, V. G.; Karapetyan, G. Ya. ; et al. Electronics: Science, Technology, Business. 2008, No. 1, 46 – 51 (in Russian). Chalabyan, G. A.; Yakovlev, S. A. Surface Acoustic Waves Transducers of Environmental Parameters. GUAP: Saint-Petersburg. 1987, pp. 1 – 53 (in Russian). Rechitskiy, V. I. Acoustoelectronic Radio Components. Circuits, Topology, Design. Radio and Communication: Moscow. 1987, pp. 1 – 192 (in Russian). Malov, V. V. Piezoresonance Sensors. Energoatomizdat: Moscow. 1989, pp. 1 – 272 (in Russian). Orlov, S. ChipNews. – Online Journal. 2002, No. 9, http://www. chipinfo.ru/literature/chipnews/200002/31.html (in Russian). Karinski, S. S. Device Signal Processing on Ultrasonic Surface Waves. Soviet Radio: Moscow. 1975, pp. 1 – 176 (in Russian). Viktorov, I. A. Sound Surface Waves in Solids. Nauka: Moscow. 1981, pp. 1 – 287 (in Russian). Surface Acoustic Wave. A. A. Oliner (Ed.). Mir: Moscow. 1981, pp. 1 – 390 p. (in Russian). Filters on Surface Acoustic Waves. G. Matthews (Ed.). Radio and Communication: Moscow. 1981, pp. 1 – 472 (in Russian). Dielesan, E.; Ruayer, D. Elastic Waves in Solids: Applications to Signal Processing. Nauka: Moscow. 1982, pp. 1 – 424 (in Russian). Orlov, V. S.; Bondarenko, V. S. Surface Acoustic Waves Filters. Radio and Communication: Moscow. 1984, pp. 1 – 272 (in Russian). Tancrell, R. H.; Holland, M. G. Proc. IEEE. 1971, vol. 59, 393 – 409. Hartmann, C. S.; et al. IEEE Trans. on Microwave Theory and Techniques. 1973, vol. MTT-21, 162 – 175. Morozov, A. I.; Proklov, V. V.; Stankowski, B. A. Piezoelectric Transducers for Electronic Devices. Radio and Communication: Moscow. 1981, pp. 1 – 183 (in Russian). Morgan, D. Surface Acoustic Wave Filters, 2nd Edition. Elsevier: Amsterdam – Oxford – New York – Tokyo, 2007, pp. 1 – 448. Plessky, V. P. In: Proc. of IEEE Ultrason. Symp., Baltimore, USA. 1993, 63 – 67. Sinitsyna, T. V. Filters on Surface Acoustic Waves with Low Loss. Central Research Institute Electronics: Moscow. Deposited manuscript. 1990. vol. 3(108), 47 (in Russian). Bagdasaryan, A. S.; Egorov, R. V.; Mashinin, O. V.; Sinitsyna, T. V. In: Abstracts of Scientific-Technical Conference "Modern Television Technologies. State and Development", Moscow. 2002, 48 – 49 (in Russian). Kandyba, E.; Kondrat'ev, S. N.; Sinitsyna, T. V. In: Proc. Intern. Symp., St. Petersburg. 1993, 161 – 162 (in Russian). Hartmann, C. S.; Secrest, B. G. In: Proceedings of IEEE International Ultrasonic Symposium. Boston, USA. 1972, 413 – 416. Vatulyan, A. O.; Rublikov, V. L. Mechanics of Solids. Proc. of AS of Arm. SSR. Yerevan. 1990, 150 – 155 (in Russian). Smith, W. R.; et al. IEEE Trans. on Microwave Theory and Techniques. 1969, vol. MTT-17, 865 – 873. Slobodnik, A. L. Proc. IEEE. 1976, vol. 64(5), 10 – 26 (in Russian). Zalessky, V. V.; Karapetyan, G. J.; Stremovskiy, E. V. Functional Microelectronic Devices and Their Elements. 1978, vol. 4. TRTI: Taganrog, 155 – 162 (in Russian). Yamanouchi, K.; Furuyashiki, H. Electronics Letters. 1984, vol. 20(20), 819 – 821. 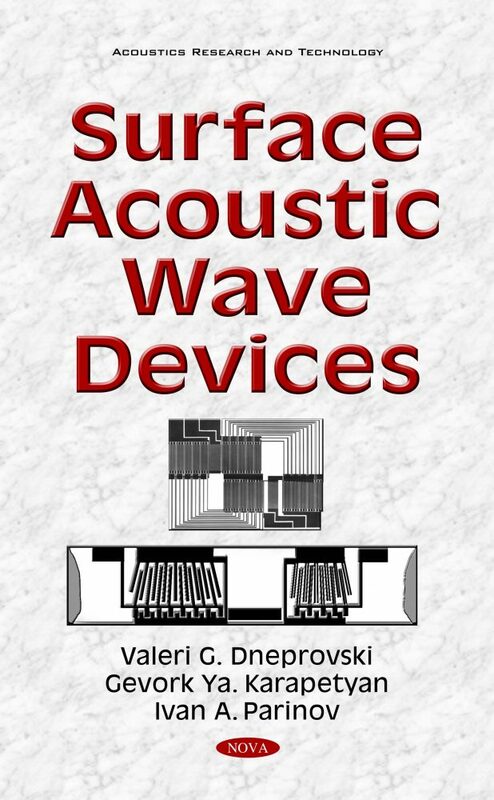 Shvets, V. B.; Orlov, S. V.; Makarov, V. M. Unidirectional Transducer for Surface Acoustic Waves. Russian Federation Patent No. 2117383, 10.08.1998 (in Russian). Hartmann, C. S. A In: Proc. of IEEE Ultrason. Symp. Chicago. USA. 1988, 39 – 46. Bankov, V. N.; Kalashian, E. V.; Karapetyan, G. Ya. ; Katz, V. D. In: Proceedings of the Conference. "Acoustoelectronic Devices for Information Processing Based on Durface Acoustic Waves". Cherkassy. 1988, 101 – 102 (in Russian). Karapetyan, J. G.; Bagdasaryan, A. S.; Bagdasaryan, N. A. Unidirectional Transducer for Surface Acoustic Waves. Russian Federation Patent No. 2195069, 20.12.2002 (in Russian). Bristol, T. W.; Jones, W. R.; Snow, P. B.; Smith, W. R. In: Proc. of IEEE Ultrasonics Symp. 1972. Boston, USA, 343 – 345. Hartmann, C. S.; Jones, W. S.; Vollers, H. IEEE Trans. 1972, vol. SU-19, 378 – 381. Malocha, D.C. IEEE Trans. 1979, vol. SU-26, 313 – 315. Yamanouchi, K.; Nyffeler, F. M.; Shibayama, K. Proc. of IEEE Ultrasonics Symp. 1975, 317 – 321. Bagdasaryan, A. S.; Bankov, V. N.; Karapetyan, G. Y. In: Proceedings of the Conference "Acoustoelectronic Devices for Information Processing Based on Surface Acoustic Waves". Cherkassy. 1988, 93 – 94 (in Russian). Smith, G. Proc. IEEE. 1974, vol. 62(10), 78 – 109 (in Russian). Karapetyan, J. G.; Bagdasaryan, A. S.; Kazennov, V. F. Journal of Radio Communications Technology and Electronics. 1989. vol. XXXIV(5), 1104 – 1107 (in Russian). Karapetyan, G. J.; Bankov, V. N.; Stremovskiy, E. V. Bandpass Filter on Surface Acoustic Waves: USSR Patent No. 875589, 22.06.1981 (in Russian). Маrshаll, F. G.; Раigе, Е. G. S.; Уo1ing, А. S. Electronics Letters. 1971, vol. 7(21), 638 – 640. Rosenfe1d, R. S.; Brown, V. R.; Hartmann, S. S. In: Proc. of IEEE Ultrasonics Symp. Milwaukee, USA. 1974, 425 – 428. Вrоwn, R. V. In: International Microwave Symp. Cherry Hill. 1975, 359 – 361. Ма1осһа, O. S.; Gораni, S. In: Proc. of IEEE Ultrasonics Symp. San Diego. 1982, 207 – 211. Gаuntаm, J. К.; Меgurо, Т.; Yаmаnоuсhi, К. Electronics Letters. 1983, vol. 19(24), 1042 – 1043. Gораni, S. G.; Вrown, R. В.; Shumаtе, D. А. In: Proc. of IEEE Ultrasonics Symp. New York. 1983, 41 – 46. Riсhiе, S. М.; Ве1kеrdid, М. А.; Маlосhа, D. С. In: Proc. UItrasonics of IEEE Symp. New York. 1983, 93 – 97. Defraunould, Ph. ; Desbois, J. In: Proc. UItrasonics of IEEE Symp. Chicago. 1981, 17 – 22. Ghоidstоn, Е. W.; Тurnеr, Т. М. In: Proc. UItrasonics of IEEE Symp. New York. 1983, 36 – 70. Ghоidstоn, Е. W.; Тurnеr, Т. М. In: Proc. of IEEE Ultrasonics Symp. New York. 1984, 64 – 67. Наrtmаnn, C.; Wilks, S. In: Proc. 37th to Appy. Freq. Contr. Symp. 1983, 354 – 360. Yamanouchi, К.; Meguro, Т.; Gautam J. К. In: Proc. of IEEE Ultrasonics Symp. San Diego. 1982, 212 – 217. Yаmаnоuсhi, К.; Gаutаr, J. К.; Меguro, Т. In: Proc. UItrasonics of IEEE Symp. New York. 1983, 47 – 51. Qiu, Р.; Shui, V.; Сhаng, D.; еt аl. In: Proc. of IEEE, Ultrasonics Symp. San Diego, USA. 1982, 222 – 226. Yаmаnоuсhi, К.; Nуffеlеr, Р. М.; Shibауаmа, К. In: Proc. of IEEE Ultrasonics Symp. New York. 1975, 317 – 321. Роttеr, V. R. In: Proc. of IEEE Ultrasonics Symp. Chicago, USA. 1981, 13 – 16. Yаmаnоuсhi, К. С.; Chеn, Z. Н.; Mеgurо, Т. Electronics Letters. 1985, vol. 21(18), 795 – 798. Dneprovski, V. G.; Perevoshchikova, T. V.; Bagdasaryan, A. S.; et al. In: Abstracts of. XIV-th All-Union Conference on Acoustoelectronics and Physical Acoustics of Solid. Chisinau. 1989. vol. 2, 182 – 183 (in Russian). Dneprovski, V. G.; Nesterovskaya, V.; Perevoshchikova, T. V. Proceedings of the Conference "Acousto-Electronic Devices for Information Processing to SAW". KPI Press: Cherkassy. 1990, 194 – 195 (in Russian). Marshall, G.; Paige, E. G. S. Electronics Lett. 1971, vol. 7, 460 – 464. Bagdasaryan, A. S.; Karapetyan, G. Y. Means of Communication. 1988, vol.4, 20 – 22 (in Russian). Bliznyuk, E. A.; Bronina, J. E.; Karapetyan, G. Y.; Perevoshchikova, T. V. Problems of Radio Electronics. General Questions of Radio Electronics. 1997, vol. 17, 103 – 107 (in Russian). Van der Heuvel. Applied Physics Letters. 1972, vol. 21(6), 22 – 25. Karapetyan, G. Y.; Stremovskii, E. V. Proc. Scientific-Technical Conference "Dielectrics and Semiconductors". High School: Kiev. 1982, vol. 21, 22 – 26 (in Russian). Turkin, I. Wireless Technologies. 2007, No. 3, http://www.wireless-e.ru/articles/technologies/2007_3_60.php (in Russian). Bagdasaryan, A. S.; Karapetyan, G. Y. In: Abstracts of All-Union Conference on Acoustoelectronics and Quantum Acoustics. Chernovtsi. 1986, vol. 2, 17 – 18 (in Russian). Karapetyan. G. Y.; Bagdasaryan, A. S.; Bagdasarian, S.A. Method of Photomask Manufacturing for Surface Acoustic Waves Transducers. USSR Patent No. 1195330, 01.08.1985 (in Russian). Karapetyan, G. Y.; Bagdasaryan, A. S.; Kondrat'ev, S. N.; Semenov, V. V. Surface Acoustic Waves Device. Russian Federation Patent No. 2242839, 20.12.2004 (in Russian). Karapetyan, G. Ya. ; Perevoshchikova, T. V.; Yankovsky, V. M. In: Abstracts of the XIV All-Union. Conference on Acoustoelectronics and Quantum. Acoustics. Chisinau. 1989, vol. 2, 182 – 183 (in Russian). Antonovich, V. N.; Kalashian, E. V.; Karapetyan, G. Y., et al. Proceedings of the Conference "Acoustoelectronic Devices for Information Processing Based on Surface Acoustic Waves". Cherkassy. 1990, 192 – 193 (in Russian). Kino, G. S.; Wagers, R. S. J. Appl. Phys. 1973, vol. 44, 1480 – 1488. Bagdasaryan, A. S.; Karapetyan, G.Y. ; Rybyanets A. N., et al. Proceedings of the Conference "Acoustoelectronic Devices for Information Processing Based on Surface Acoustic Waves". Cherkassy. 1988, 149 – 150 (in Russian). Karapetyan, G. Ya. ; Panich, A. E.; Rybyanets, A. N.; Khasabova, G. I. Proceedings of the Conference "Acoustoelectronic Devices for Information Processing Based on Surface Acoustic Waves". Cherkassy. 1990, 133 – 134 (in Russian). Belov, L. Electronics: Science, Technology, Business. 2007, No. 2, 46 – 54 (in Russian). Novoselov, V. Chip News: Online Journal. 2003, No. 1, 3 – 35. http://chipnews.com.ua/ru/archive/num/?cat_id=24 (in Russian). Kogushev, A.M.; Golubeva, N.S. Fundamentals of Radio Electronics. Energy: Moscow. 1977, pp. 1 – 400 (in Russian). Cross, P.; Heigl, V.; Smith, R. Proc. IEEE. 1976, vol. 64(5), 133 – 135 (in Russian). Bankov, V. N.; Dneprovski, V. G.; Procopailo, E. Y.; et al. In: Abstracts of the IV School-Seminar "Devices of Acoustoelectronics". Rostov Yaroslavsky. 1991, 22 (in Russian). Bankov, V. N.; Dneprovski, V.G. ; Korolev, V. M.; et al. Proceedings of the XII All-Union Conference on Acoustoelectronics and Quantum Acoustics. Saratov. 1983, Part 2, 151 (in Russian). Melzer, J. E.; Kamenskikh, N. N.; Menyailo, K. V.; Samokish, I. E. Acoustoelectronic and Radio Electronic Devices of Signal Processing. 1982, vol. 155, 21 (in Russian). Tuan, H. S. Proc. of IEEE Ultrason. Symp. 1977, 321 – 323. Bagdasaryan, A.; Bagdasaryan, S.; Karapetyan, G.; et al. Electronics: Science, Technology, Business. 2014, No. 7, 48 – 65 (in Russian). Lehtonen, S.; Plesski, V.P. ; et al. SAW In: Proceedings of IEEE International Ultrasonic Symposium. Caesars Tahoe, USA. 1999, vol. 1, 395 – 399. Cook, A. M.; Farmer, J. O.; West, L. E. Communications, Engineering and Design. 1987, August, 35 – 49. Balakin, V. I.; Voropaev V. P.; Dneprovski, V.G. ; Karapetyan, G. Y.; et al. Decoder. Russian Federation Patent for Industrial Sample, No. 43226, 16.02.1997 (in Russian). Bessonov, L. A. Linear Electric Circuits. Highest School: Moscow, 1974, pp. 1 –523 (in Russian). OAO "RUSNANO", http://www.rusnano.com/about/press-centre/news/75472 (in Russian). Pohl, A. A. IEEE Transactions on Ultrasonics, Ferroelectrics, and Frequency Control. 2000, vol. 47, 317 – 332. Eliseev, N. Electronics: Science, Technology, Business. 2008, No. 1, 40 – 45 (in Russian). Belov, L. Electronics: Science, Technology, Business. 2000, No. 2, 34 – 38 (in Russian). Karapetyan, G. Y.; Bagdasaryan, S. A.; Bagdasaryan, N. A. Unidirectional Transducer for Surface Acoustic Waves. Russian Federation Patent No. 2195069, 20.12.2002 (in Russian). Bagdasaryan, A. S.; Bagdasaryan, S.A.; Gulyaev, Y. V.; Karapetyan, G. Y. Remote Control Sensor of Physical Parameters Based on Surface Acoustic Waves. Russian Federation Patent, No. 2296950, 10.04.2007 (in Russian). Bagdasaryan, A. S.; Bagdasaryan, S.A.; Karapetyan, G. Ya. ; Dneprovski, V.G. Remote Control Sensor of Physical Parameters Based on Surface Acoustic Waves. Russian Federation Patent, No. 2387051, 20.04.2010 (in Russian). Bagdasaryan, A. S.; Bagdasarian, S. A.; Bogdanov, M. I.; Dneprovski, V. G.; Karapetyan, G. Ya. Journal Engineering Bulletin of Don - Network Electronic Scientific Journal. 2012, No. 4. http://www.ivdon.ru/ (in Russian). Skvortsov, B. V.; Silow, E. A. Izvestiya of Samara Scientific Center of the Russian Academy of Sciences. 2009, vol 11(5), 64 – 71 (in Russian). Bagdasaryan, A. S.; Bagdasaryan, S.A.; Dneprovski, V.G. ; Karapetyan, G.Y., et al. Proceedings of the XVI International Conference “Modern Problems of Continuum Mechanics". Rostov-on-Don. 2012, vol. 2, 21 – 25 (in Russian). Bagdasaryan, A. S.; Bagdasarian, Dneprovski, V.G. ; Karapetyan, G.Y. ; et al. In: Abstracts of XVI International Conference “Modern Problems of Continuum Mechanics". Rostov-on-Don. 2012, 11 (in Russian). Bagdasarian, S. A.; Butenko, E. V.; Nazarenko, M. A.; et al. Surface Acoustic Waves Sensor of Displacements with Temperature Compensation. Russian Federation Patent No. 2344371, 20.01.2009 (in Russian). Karapetyan, G. Y.; Kataev, V. F.; Ratushniy, V. I. In: Proceedings of the VIII International Scientific and Technical Conference. Sevastopol – Donetsk. DonGTU. 2001, vol. 1, 175 – 178 (in Russian). Kataev, V. F.; Lunin, L.S. ; Ratushniy, V. I. In the 47 Internationales Technische Wissenschaftliches Kolloquium. 2002, 542 – 543. Karapetyan, G. Y.; Rosowsky, T. V.; Dolgova, L. I.; Muhortov, V. M. Questions of Radio Electronics. Scientific and Technical Collection. 2007, P. 207 – 214 (in Russian). Bagdasaryan, A. S.; Butenko, V. V.; Gulyaev, V. Yu. Surface Acoustic Waves Device of Identification. Russian Federation Patent No. 2328069, 24.03.2008 (in Russian). Karapetyan, G. Y.; Rosowsky, T. V. Questions of Radio Electronics. 2008, No. 1, 251-257 (in Russian). Bagdasaryan, A. S.; Bagdasaryan, S.A.; Karapetyan, G.Y. ; et al. Anti-collision System of Radio Frequency Identification. Russian Federation Patent No. 2333513, 10.09.2008 (in Russian). Gulyaev, Y. V.; Butenko, V. V.; Bagdasaryan, A. S.; Bagdasarian, S.A. Anti-collision System, Radio Frequency Identification. Russian Federation Patent No. 2333512, 10.09.2008 (in Russian). Bagdasaryan, A. S.; Bagdasarian, S. A.; Karapetyan, G. Ya. ; Nefedova, N. A. Anti-collision System of Radio Frequency Identification. Russian Federation Patent No. 2344441, 20.01.2009 (in Russian). Bagdasaryan, A.; Bagdasarian, S.; Dneprovski, V.; Karapetyan, G.; Nikolaeva, S. Electronics: Science, Technology, Business. 2014, No. 3, 70 – 76 (in Russian). Kretov, E. F. Ultrasonic Testing in Power. Radioavionika. 1995, pp. 1 – 317 (in Russian). Deryugin, L. N.; Anikin, V. I.; Gudzenko, A. I.; Dneprovski, V. G.; Terichev, V. F. Technical Physics Letters. 1980, vol. 6(7), 425 – 427 (in Russian). Dneprovski, V. G.; Terichev, V. F.; Tishchenko, A. A. In: Abstracts of the II All-Union Conference "Material Science of Chalcogenide and Oxygen-Containing Semiconductors". Chernivtsi, USSR Academy of Sciences, CSU. 1986, vol. I, 212 (in Russian). Introduction to Integrated Optics. M. Barnoski (Ed.). Mir: Moscow. 1977, pp. 1 – 367 (in Russian). Spears, D. L.; Strаus, H. J. Rev. Phys. Appl. 1977, vol. 12 (2), 401 – 404. Anikin, V. I.; Deryugin, L. N. Optics and Spectroscopy. 1975, vol. 39(5), 956 – 962 (in Russian). Gudzenko, A. I.; Deryugin, L. N.; Dneprovski, V. G.; et al. Record Media of Standing Waves. USSR Patent No. 902608, 27.03.1980 (in Russian). Orlikov, L. N. Technology of Materials and Electronic Devices: Textbook. TGUSU Press: Tomsk. 2006, pp. 1 – 364 (in Russian). Petukhov, V. Yu. ; Gumarov, G. G. Ion-Beam Techniques for Thin Films. KSU Press: Kazan. 2010, pp. 1 – 87 (in Russian). Oliner, A.; Farnell, J.; Gerard, G.; et al. In: Surface Acoustic wave. A. Oliner (Ed.). Mir: Moscow. 1981, pp. 1 – 390 (in Russian). Rechitski, V. I. Acoustoelectronic Radio Components. Soviet Radio, 1980, pp. 1 – 264 (in Russian). Surface Acoustic Waves Filters. G. Matthews (Ed.). Radio and Communication: Moscow. 1981, pp. 1 – 472 (in Russian). Malyukov, S. P.; Klunnikova, Yu. V.; Parinov, I. A. In: Advanced Nano- and Piezoelectric Materials and their Applications. Ivan A. Parinov (Ed.). Nova Science Publishers: N.-Y. 2014, 87–106. Malysheva, O. L. Journal of Radio Electronics: Online Journal. 2014, No. 6, http://jre.cplire.ru/jre/jun14/2/text.html. Dneprovski, V. G.; Karapetyan, G. Y.; Perevoshchikova, T. V. In: Abstracts of the Conference "Acousto-Electronic SAW Devices for Information Processing". Cherkassy: KPI. 1990, 427 – 428 (in Russian). Photolithography and Optics. J. A. Fedotova, G. Field (Eds.). Soviet Radio: Moscow. 1974, pp. 1 – 392 p. (in Russian). Dneprovski, V. G.; Bagdasaryan, A. S. In: Proceedings of International Conference "Actual Problems of Radio Engineering and Electronics". Sevastopol. 2003, Naukova Dumka: Kiev. 2004, 17 – 19 (in Russian). Goncharov, V. K.; Petrov, S. A.; Puzyrev, M. V. Engineering-Physical Journal. 2004, vol. 77(4), 83 – 85 (in Russian). Zhi, Chen; Chi, Lu. Sensor Letters. 2005, vol. 3, 274 – 295. Nikolaev, A. L.; Karapetyan, G. Ya. ; Nesvetaev, D. G.; et al. In: Advanced Materials - Physics, Mechanics and Applications. Shun Hsyung-Chang, Ivan Parinov, Vitaly Topolov (Eds.). Springer Proceedings in Physics. vol. 152, Springer Cham: Heidelberg, New York, Dordrecht, London. 2014, 27 – 36. Dneprovski, V. G.; Osadin, B. A.; Rusakov, N. V. Technical Physics. 1974, vol. XLIV(2), 435 – 441 (in Russian). Dneprovski, V. G.; Shchuka, A. A. In: Study and Use of Rhenium Alloys. IMET of AS SSSR, Nauka: Moscow. 1975, 166 – 167 (in Russian). Dneprovski, V.G. ; Osadin, B. A. Technical Physics. 1974, vol. XLIV(2), 442 – 446 (in Russian). Slutskaya, V. V. Thin Films in the Technique of Ultra-high Frequencies. SEI: Moscow, Leningrad, 1962, pp. 1 – 400 (in Russian). Dneprovski, V. G. In: Collection of Scientific Papers on Microelectronics: Physical-Mathematical Series. MIET: Moscow. 1974, vol. 18. 205 – 209 (in Russian). Dneprovski, V. G.; Dudoladov, A. G.; Shchuka, A. A. Foreign Electronic Techniques. 1973, No. 24(72), 38 – 65 (in Russian). Karapetyan, G. Y.; Dneprovski, V. G.; Bagdasaryan, A. S.; et al. Engineering Bulletin of Don – Network Electronic Scientific Journal. 2012, No. 2, http://www.ivdon.ru/ (in Russian). Lyanguzov, N. V.; Kaidashev, V. E.; Kaidashev, E. M.; Abdulvakhidov, K. G. Technical Physics Letters. 2011, vol. 37(5), 1 – 8 (in Russian). Optic-Mechanical, Technological and Control-Measurement Equipment for Manufacture of Microelectronic Goods. OAO KBTEM-OMO, http://www.npi-company.ru/files/fotoshablony.pdf. Dneprovski, V. G. Electronics: Series 6 (Materials). 1982, No. 6(167), 75 – 76 (in Russian). World's First SAW Filter/Power Amplifier/Magnetic Stabilizer in One Package: Mobile Phone Transmission Module to be Marketed. 2011, http://www.murata.com/new/news_release/2011/0913c/index.html. for Diversity. 2011, http://global.kyocera.com/prdct/electro/news/2011/ 111031.html. This book will be useful to specialists associated with designing, calculation, research and use of SAW devices, as well as students and postgraduate students who are busy in programs of applied mathematics, radio physics, and modern engineering activities.